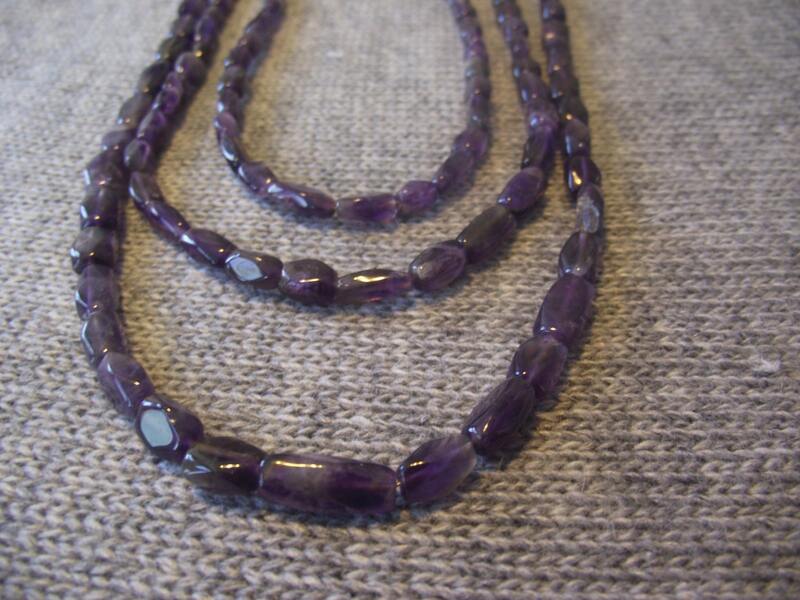 Three strand Amethyst beaded necklace. 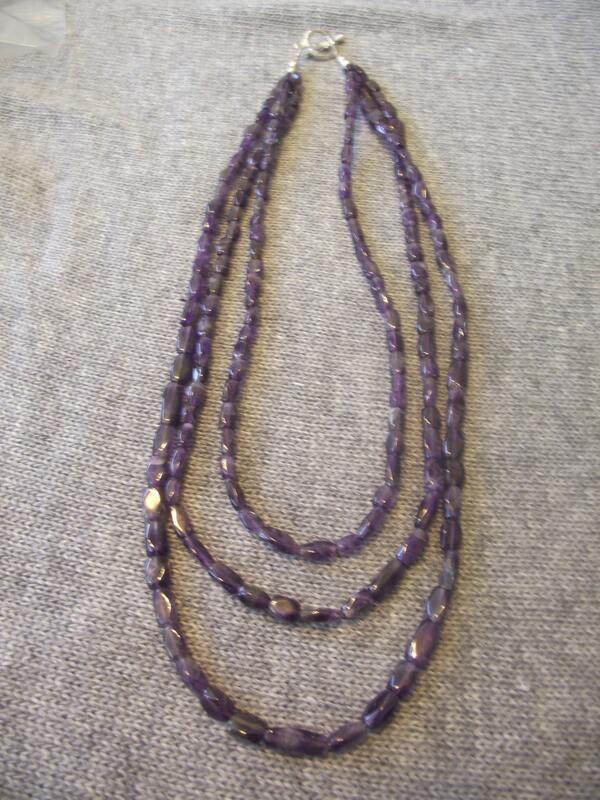 The smallest strand is 19" and the longest is 22.5". So interesting and pretty ! !